I hope everyone stayed safe if you went out Black Friday shopping today. 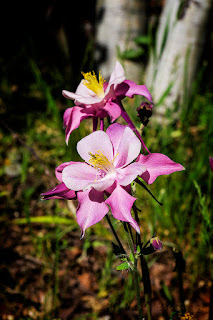 Today's image is one of my favorite flowers that I shot at the Chama station in New mexico before my train ride. These are pink Columbines with Aspen tree bokeh.